Home » Blog » Blog » Skilled Trades Day in Portland – IBEW 48 Welcomes iUrban Teen’s iTrades. 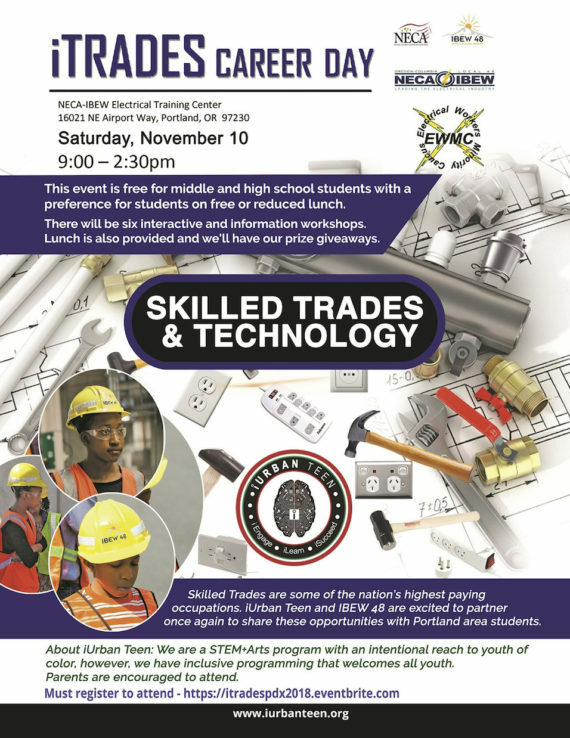 Skilled Trades Day in Portland – IBEW 48 Welcomes iUrban Teen’s iTrades. We’re honored to be invited back to the IBEW 48 offices for our 2nd iTrades event. On this day of learning, they will share their careers in the Trades with local Middle & High School students in the Portland Metro area. Registration is now open.